Our team has today arrived in Qatar’s capital, Doha, to hold the second pre-season tour. The players and coaching staff have stopped at The Torch hotel, located at that 300-metre high Aspire Tower - a building resembling a torch from the outside. In 2006 it became the highest point in history where the Olympic flame rested - the flame was visible from practically any part of the city during the XV Asian games. The players had their first training session not long after checking in at the hotel, the pitch was inside the Aspire Zone complex. 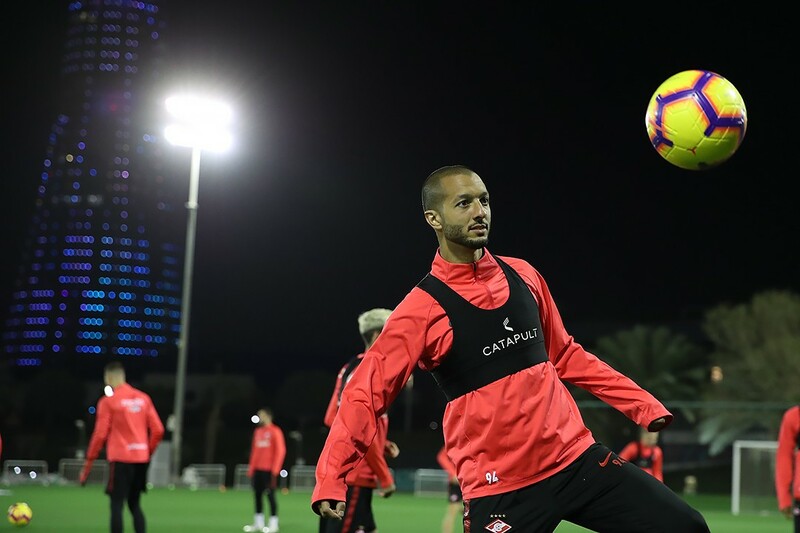 The session was mostly an imitation game: the players honed their shooting skills before holding a mini-tournament on part of the training pitch. Denis Glushakov took full part in training after missing the friendly match against Lokomotiv Tashkent in Dubai. Ze Luis and Aleksandr Selikhov were absent from the main group, the former out with a cold, the latter falling ill, but both are expected to be back tomorrow. Bocchetti, Eschenko, Gigot and Fernando continue to recover following their respective injuries and will train individually in Doha. The players will have two training sessions tomorrow, before taking on Rostov in Fonbet Match TV Cup on Monday, with the kick-off set for 8 p.m.